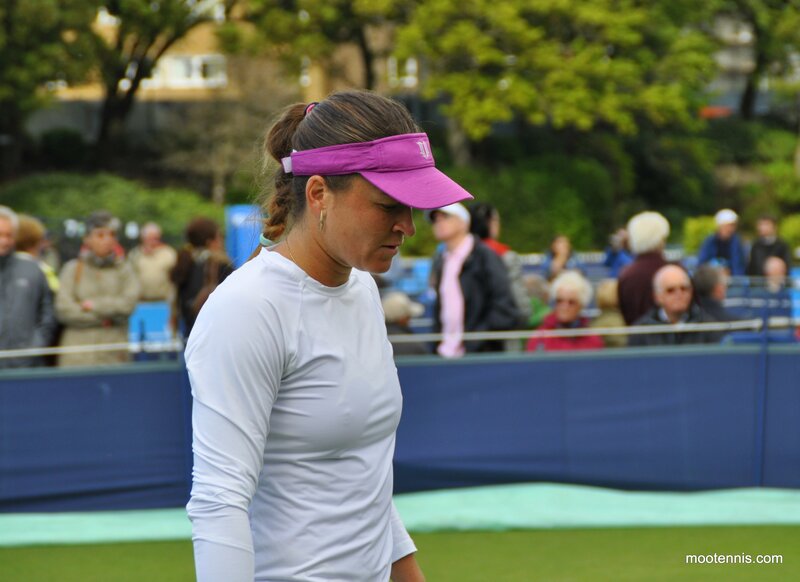 Today had a frustrating start with play not starting in Eastbourne until after 3pm. 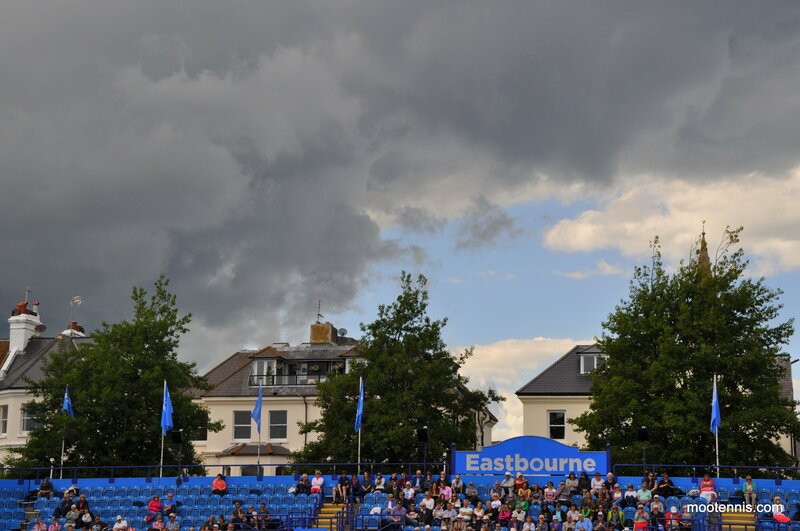 However, the rain stayed away apart from a few drops later on and it was a really lovely evening in Eastbourne. 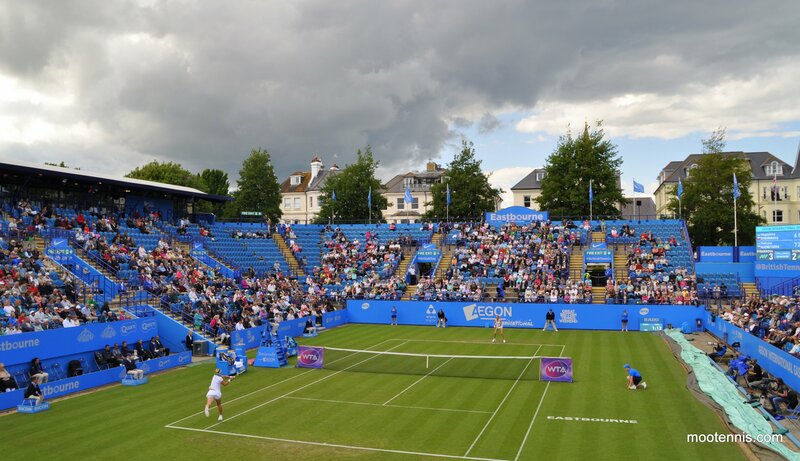 After enduring Watson-Lepchenko a few years ago at Eastbourne, I ended up watching a lot of matches on the outside courts. Here’s a round-up of the action with some of my photos. 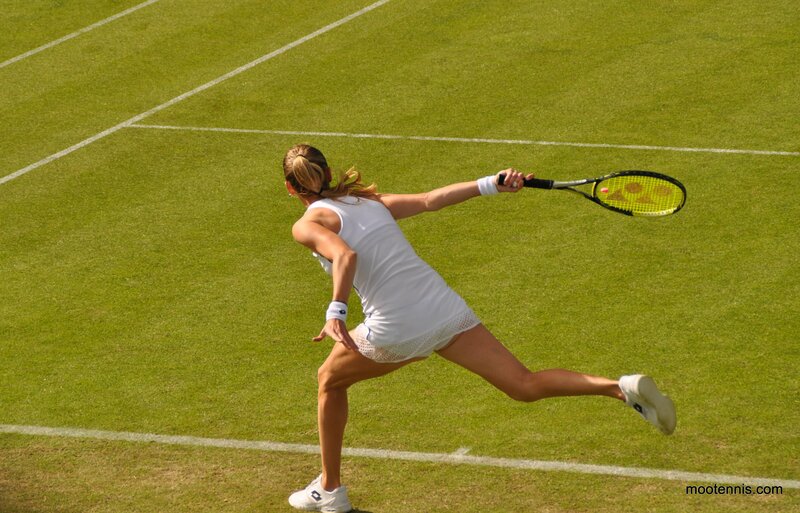 The first match I watched was Svetlana Kuznetsova and Magdalena Rybarikova on Centre Court. Even before the match began, there was much hilarity as a seagull landed on the court with someone’s food. It was funny the first time but the woman next to me enjoyed pointing out to her friend every seagull that flew over the court… I CAN SEE THE SEAGULLS. 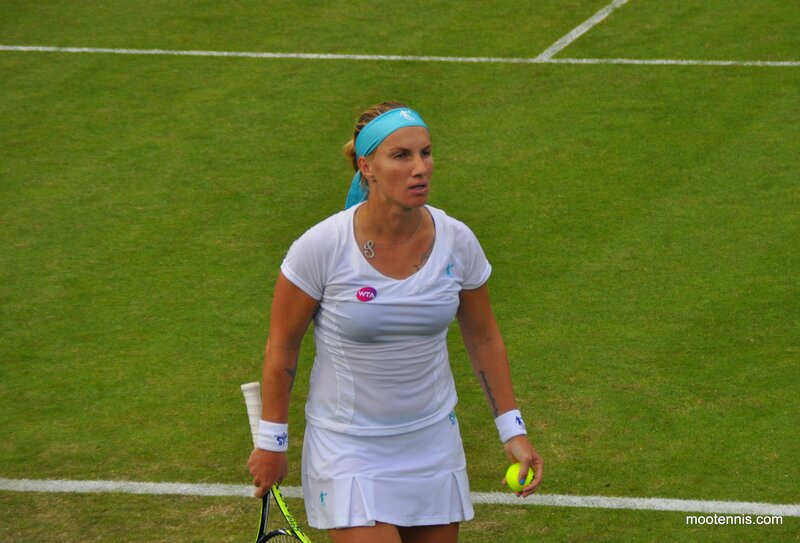 The story of the first set was Kuznetsova unable to consolidate on her leads. She went up a break on three separate occasions, but needed a tiebreak where she nearly lost her mini break lead. Kuznetsova had a bit more power and gusto about her, and she moved really well onto forehand side, hitting several wrong footers past Rybarikova. I really enjoying watching Rybarikova. Her point construction, at times, is majestic to watch. I was behind the court and watching her slice serve out wide was really cool. It was evident why her game is so effective on grass. Overall, this was a decent performance from Kuznetsova who sealed the first set in the tiebreak with a fizzing return winner down-the-line. Kuznetsova eventually won, 7-6(5) 6-4. There were a few drops of rain, but it just about held off with a few short delays with the players sticking around on the court. 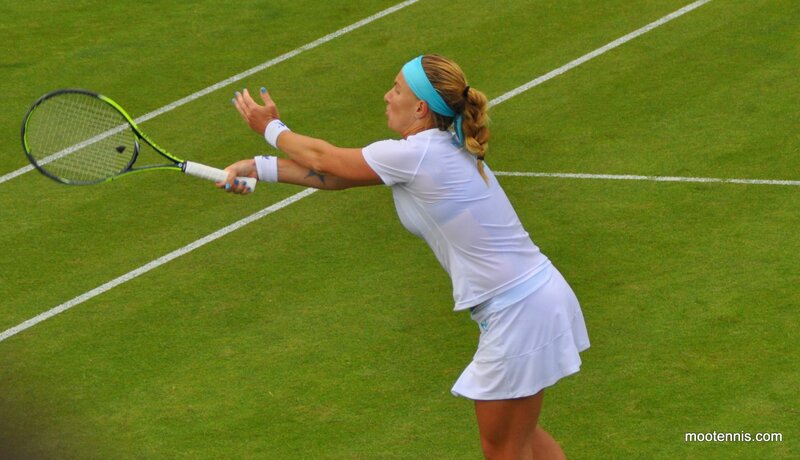 Kuznetsova is fun to watch and it’s the first time i’ve seen her live since my first visit to Eastbourne in 2010 when she was playing Alisa Kleybanova (miss you, Alisa!). She started up the random grunting midway through the first set. The Eastbourne crowd obviously struggled to deal with this. 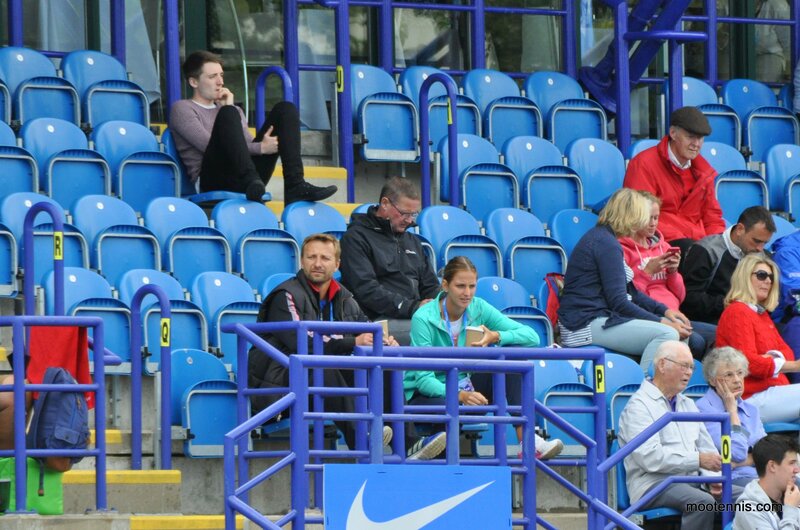 I also noticed that Karolina Pliskova was watching with her coach in the west stand. It was then time for a wander… I saw the end of the first set between Polona Hercog and Madison Brengle. The American player looked a bit fed up as she double faulted at 5-5 in the first set. Hercog closed out the set in very convincing fashion. Hercog won the match, 7-5 6-4. 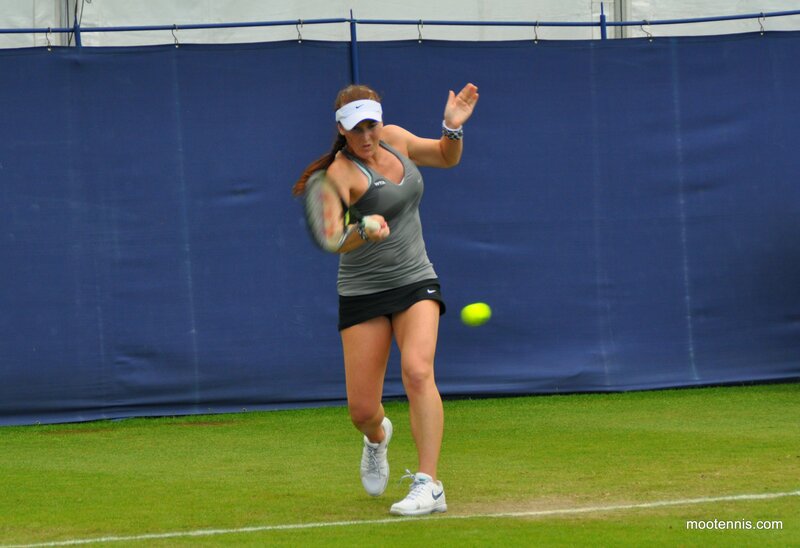 Alexandra Dulgheru was really struggling in her first round match against Irina Falconi. She looked a bit fed up and I also noticed she had some strapping on her knee. I hope this isn’t a recurring issue as i think she has had problems with the knee in the past. Falconi won, 6-1 6-1. I’ve never seen Barbora Strycova live so it had to be done. The live Babs experience is something that every tennis fan should have. I watched the first set and there were the occasional moments where I was laughing. In the middle of the first set, Babs blew four break points. She also had a mini wobble trying to close out the set, but she got it done and then strolled through the second set. I never felt comfortable watching Begu and was always expecting an error. She didn’t move up to the net well and struggled to deal with Strycova’s variety. Begu did hit one delightful drop shot that spun away from the court. 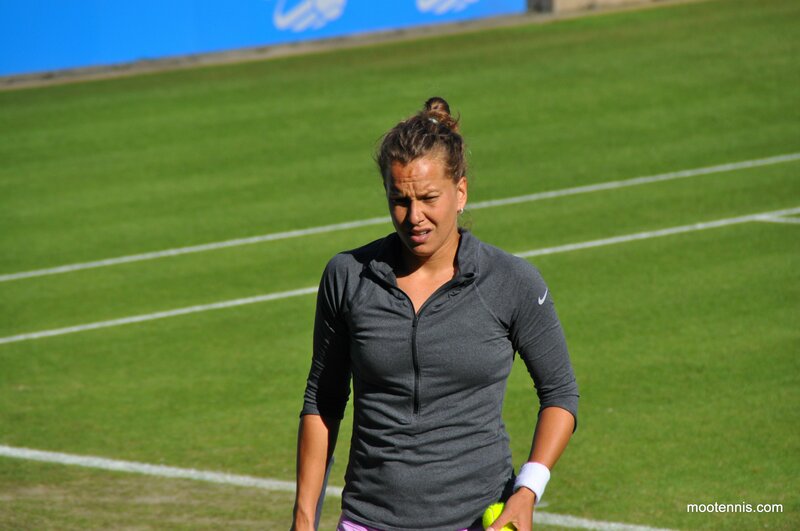 Strycova won, 6-4 6-2. I went for Begu in my predictions which was a really poor choice in hindsight. 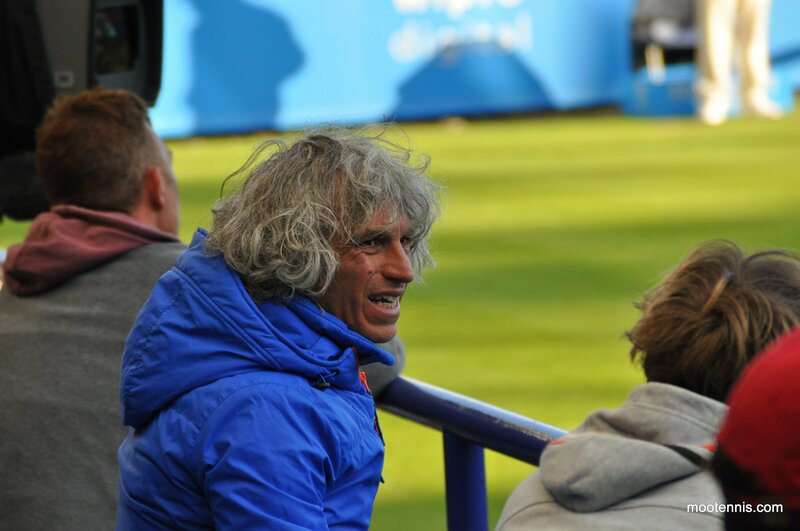 I watched the first set of Tsvetana Pironkova’s win over Marina Erakovic. It started a little sloppy, but Pironkova really settled and was playing great towards the end of the set. 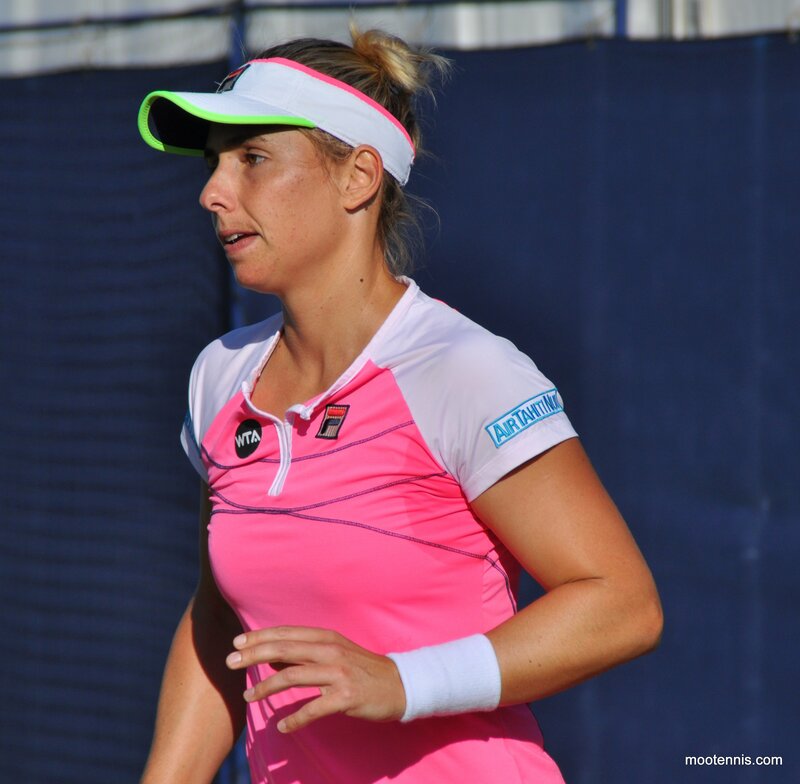 Her powerful, flat strokes kept pushing Erakovic back, who couldn’t get her slice into play. 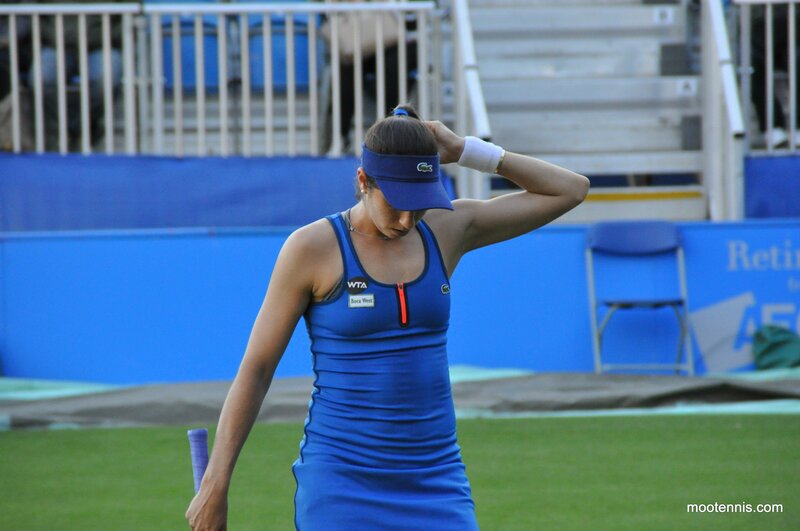 Pironkova was annoyed at one of the calls from the umpire. As ever, I keep seeing her parents everywhere! Pironkova won, 6-2 6-2. 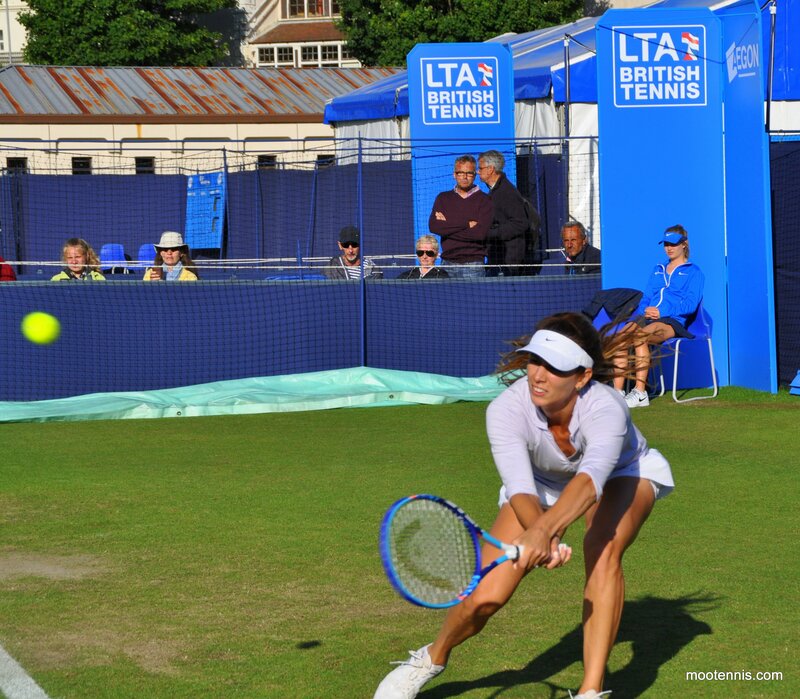 I picked Tsvetana as my finalist for Eastbourne… hahahaha. She played well though today and is dangerous on this surface. I watched the end of the first set and entire second set of Jarmila Gajdosova against Lauren Davis. Jarka was having a mare when I joined this match and missing so many shots. She was getting increasingly pissed with the umpire over line calls. She called out on one of them “how did you miss that?”. There was another one where the judge overruled a linesjudge and she was FUMING. She was like “wow!” and wanted clarification from the umpire who said it was definitely right to which Jarka responded “well he (the linesjudge) must be really bad then”. Davis was pretty solid and completely unphased by everything that happened. Jarka settled surprisingly well and calmed down after the line calls, coming back to win the match in three. She hit a cracking winner down-the-line to get the break in the second set and never looked back from then. Gajdosova won, 2-6 6-2 6-1. The final match of the day that I watched was Camila Giorgi against Christina McHale on court 1. A lady next to me described Giorgi as “the one with the crazy father”. The light was pretty spectacular for taking photos on court 1 although they looked much better on my camera screen! I watched the entire second set and the end of the first set. 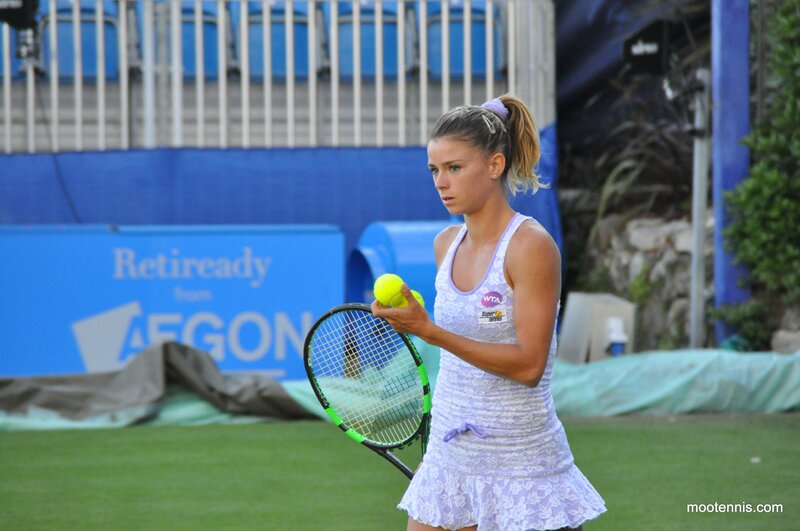 I thought Giorgi was stunning. Her groundstrokes are so powerful and she looks so incredibly fit up close. She is really dynamic around the court and didn’t make that many errors today. McHale didn’t serve well and struggled to impose herself. There was a moment where she came back and broke at the start of the second set as Giorgi’s double fault count started to rise. 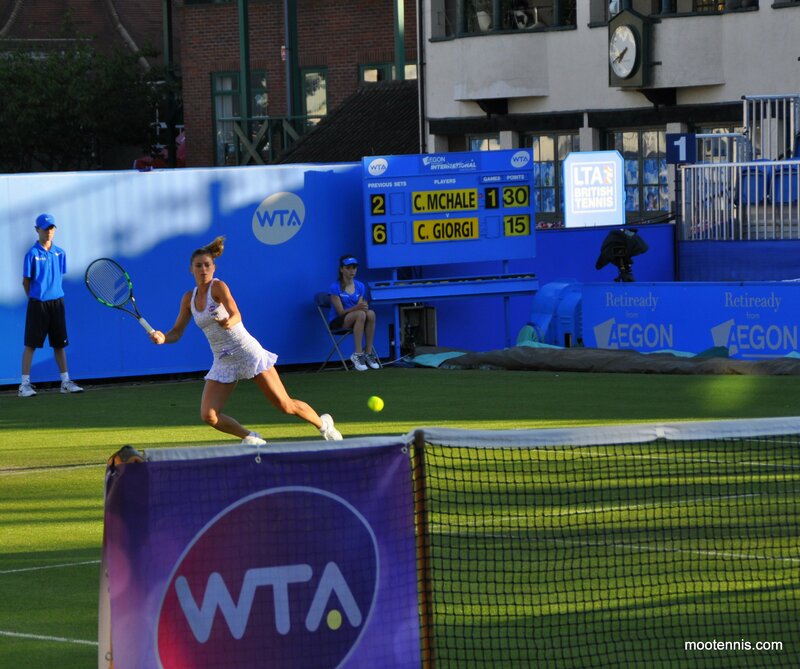 Giorgi reined it back in and finished the match off in style. This was my favourite match of the day. Sergio looked a bit agitated at the start of the second set and he kept trying to get Camila’s attention. I spent half of the match looking over at him to see what he was doing. Giorgi won the match, 6-2 6-3. 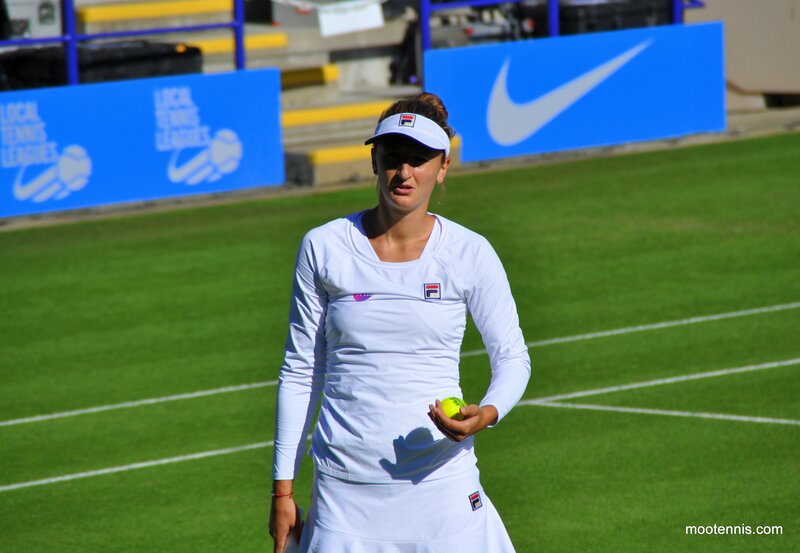 June 22, 2015 in Eastbourne, Tournament Report, WTA. 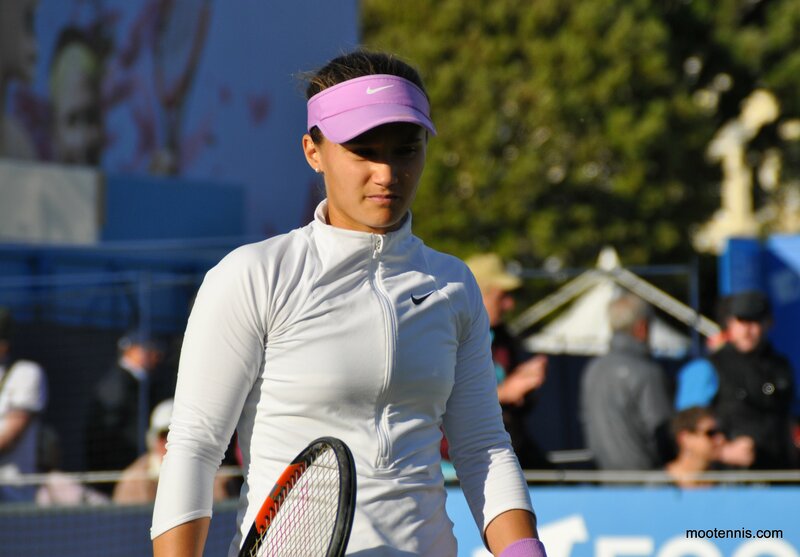 Thanks James,love the action photo’s,Jarmila has a good solid game,I wish at times she would focus more and not let things get to her,she does lose focus easily,sad to say. Glad you like the photos, Margaret! Thanks so much for sharing this James! really appreciate it. Never been to a tennis match in my life lol. Really peeved I can’t watch Pironkova vs Stosur. Hi James, can you take some Domi photos? Thanks. I have photos of Domi! I’ll post them tomorrow. I was thinking the same, she never looked better.